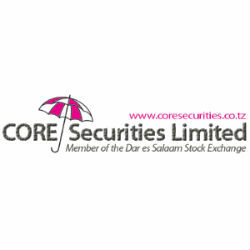 According to the Weekly Market Report of the trading week ended on 10 May 2013 issued by CORE Securities, a leading Tanzanian licensed stockbroker, the Dar Es Salaam Stock Exchange (DSE) total turnover decreased by -58% to 407.69 Million (USD 250,656) from 989.73 million (USD 608,506). Both local and foreign investors participated in the market. The Market Commentary shows the DSEI (ASI) and TSI were flat edging UP by +0.06% and +0.24% to 1,536.58 and 1,645.89 respectively, compared by 1,533.88 and 1,634.49 of last week. Most of the activities were seen on NMB, CRDB and SWISSPORT counters. Last T-Bills action was done on 8th May 2013 with a total of 84 successful bids for a total of TZS 141,099.30 Million (USD 86,750). A seven and ten year T-bond worth 12.962 billion was recorded in secondary market, no T-bond of 2 and 5 years was recorded in secondary market. Spot gold was down to -1.45% to 2.397 Million (USD 1,473.73) per ounce (1 ounce = 31.10 grams) on Friday 10th May. Moving on to the Exchange Rate section, in comparison to previous week average, the Tanzanian shilling lost ground against the USD, GBP, EUR, ZAR, KES and USH.